The Principia School and College experienced measles outbreaks in 1985, 1989, and 1994. The following are related articles from newspapers, academic journals, CDC reports, books that discuss the outbreaks, and Principia College’s policies regarding immunization as of February 2014. In 1985, three Christian Scientists affiliated with Principia College in Elsah died, and 712 students were quarantined on campus, when an outbreak of measles sickened more than 100 people. In 1989, another measles outbreak at Principia sickened nearly 100 people, including some off campus, not affiliated with the school. Letter from the President (Feb. 2014) detailing responsibility to the campus re: communicable disease and prayer. 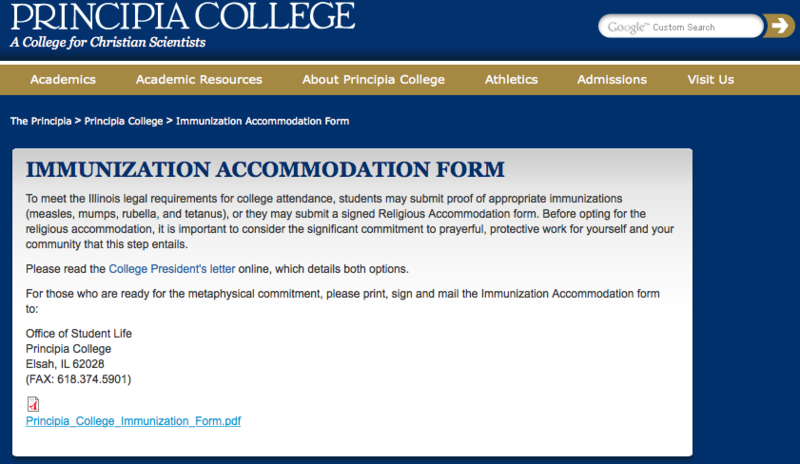 Principia College Immunization Exemption Form. The high attack rate (15.9%) at Principia College is undoubtedly due to these students’ very low immunization levels. This outbreak illustrates the potential severity of measles and the rapidity of spread in an unvaccinated population. The very high apparent death-to-case ratio (2.3%) is unusual in the United States, which usually has a reported death-to-case ratio of 0.1% or lower. The reasons for this high mortality are under investigation. The largest [outbreak] occurred at Principia College, a Christian Science college in Illinois (1). One hundred twenty-eight cases were reported between January 15 and March 10, including 113 among students and 15 among other residents. Three deaths related to respiratory complications of measles occurred among students and residents at the college. The other outbreak among persons opposed to vaccination began in two contiguous counties along the Illinois-Missouri border on April 4 when a Christian Science high school student became ill after skiing in Breckenridge, Colorado during a measles outbreak there. This student lived with her family on campus at Principia College, a Christian Science college in Jersey County, Illinois and commuted daily to the Principia Christian Science School (grades K-12) in St. Louis County, Missouri. Jennings, Charles E. “Measles among Religiously Exempt Persons.” Cases in Field Epidemiology: A Global Perspective. Comp. Mark S. Dworkin. Sudbury, MA: Jones & Bartlett Learning, 2011. 83-89. I was at the Upper School in the 1980 measles episode. It was a lot smaller than what I read of the 1985 one. No one died. I believe, but am not sure, that it did affect both the Upper School and the College. People first went to Campus House and then, as I recall, Campus House was full so we had one special wing of the Girl’s Dorm. One friend of mine had the measles and I don’t think any of us realized at the time how serious it could have been. Especially without adequate hydration and care. I remember my friend telling us later how hallucinatory and out of it she had been. We knew it was unusual that we had a whole floor of our dorm dedicated to this thing… but looking back we were in complete la la land instead of aware of the risks about the situation. I don’t remember anyone talking about going home or getting vaccinated. I don’t believe the Health Department got involved, or at least we never heard about vaccines being offered. Wow. I know that the 1985 outbreak was a big hairy deal to the outside world. But apparently, it managed to completely pass over the awareness of my relative. This is either a tribute to their personal bubble or to the overall suppression of information at the Upper School. Or both. This just so upsetting. There is no reason this exact thing couldn’t happen again. 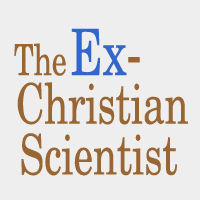 Thank you, Ex Christian Science blog, for sharing this resource. With links and stories and information. I was caught at Principia College during one of the Measles outbreaks, and also at one of the Christian Science camps during an outbreak. And the whole thing is completely rediculous. Christian Scientists are more likely to immunize their pets & get their pets medical care, than they are to immunize their children and get their children medical care! Every state in the Union needs to make immunizations mandatory for all who are able to get them, so that we as a herd, can protect those who are not able to get them. Herd mentality is what has protected Christian Scientists for years. But you get 100+ Christian Science children/students/campers together, there is no more herd mentality protecting them. And Christian Scientists ar completely oblivious to this understanding. They have no concept that these outbreaks happen and no concept about how dangerous they are. La la land, for sure. I was a 15-year-old sophomore living in the Boys’ Dorm of Principia Upper School during the measles outbreak of 1985. I didn’t get sick. 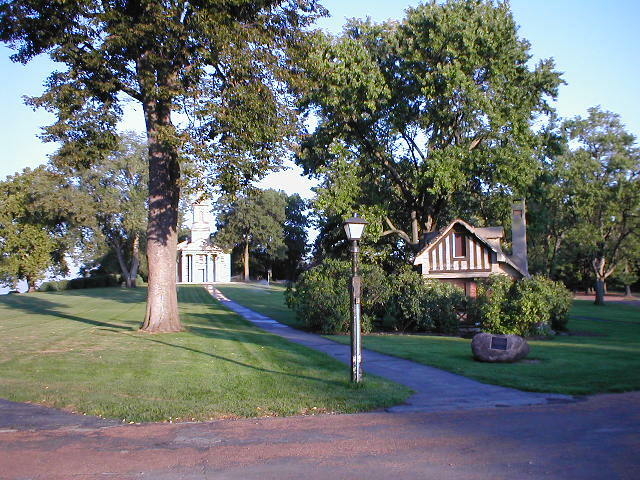 What I remember most was that the housfathers called a special quiet hour (every week day morning we had “quiet hour”, in which for 30 minutes we had to read the Bible and science and health) in the middle of the day with the instruction to pray or “keep the right thought.” We were aware that an upper school student who lived in Elsah had died. I remember watching tom brokaw tell the nation about what was going on at Prin. It was all kept hushed. To talk about the outbreak would be to give it power. Oh the stories I could tell of Christian scientists I have seen dying and suffering needlessly of ailments that can be cured or treated effectively. Greg, I was raised in the religion and have lost people in my family. My brother was devout and a reader for the church. He died when he was 47 years old after being sick for 6 months, but refused to see a doctor. He said he didn’t want any tubes sticking out of him. He also told me not to have the breast cancer surgery the night before I did. He said I could work it out through Christian Science. I have been cancer free since 1994 because I did have the lifesaving surgery. My aunt literally died of breast cancer with no medicines or pain pills in horrible pain.